It was a time of neon colors, of spandex and pop music laced with synthesizers. And at the movies, audiences flocked to E.T., Back to the Future, the latest adventures from Indiana Jones and the triumphs of underdogs like Rocky or The Karate Kid. You can take some movies from the 1980s, pop them on now, and enjoy them as excellent films, regardless of their release year. That’s not the case with every beloved 80s movie. Nostalgia’s a funny thing, and sentiments shared for popular movies tends to cloud our better judgments, allowing passion to affect taste. 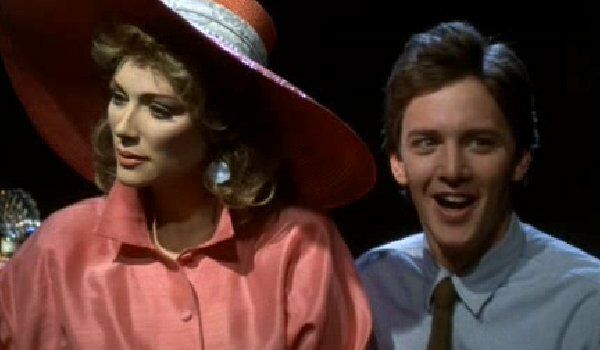 Now that almost three decades have passed between the release of these films and today, we’re able to recalibrate our opinions of accepted "hits" from the 1980s and realize, perhaps a little sheepishly, that these movies aren’t nearly as good as we once thought. Let’s fire up the flux capacitor and revisit some gems from the 80s that just don’t hold up to scrutiny these days. The idea behind Ted Kotcheff’s Weekend at Bernie’s probably sounded great at the pitch meeting. 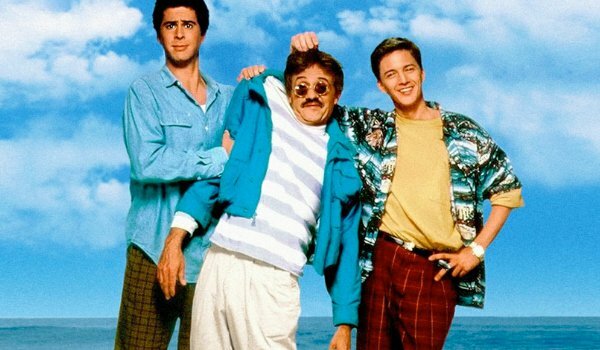 The 80s were a time of corporate ladder climbing, and the two entrepreneurs played by Andrew McCarthy and Jonathan Silverman would go to impossible lengths to make it in business – even carting their boss’s corpse around a beachfront paradise. But in execution, it’s a physical gag that can only last for so long, and the gallows humor concept of Weekend at Bernie’s goes from pitch black to dumb to bland before the credits roll. How this movie actually got a sequel is beyond me. On paper, it made complete sense. Vacation was incredibly popular, so another trip with Chevy Chase’s Clark Griswold and the whole hilarious family was a no-brainer. Shift the location to Europe, the sit back and print the money. Yet, despite a few memorable lines ("Look kids! Big Ben. Parliament. 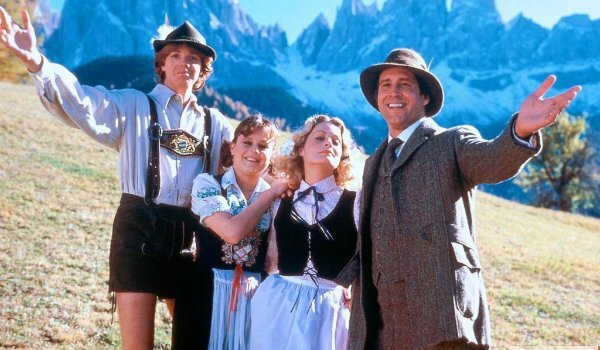 "), National Lampoon’s European Vacation was a slapdash series of middling skits tailored to each popular European location. A dog jumps off the Eiffel Tower. Clark backs into Stonehenge, knocking it over. By the time the storyline about an Italian thief kicks in, you’ll want to travel back home. Look Who’s Talking is kind of cute, for a few minutes. 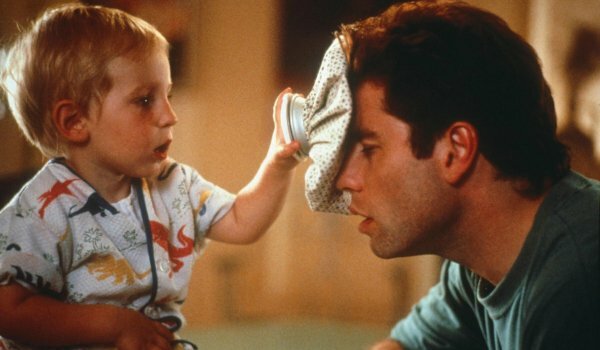 A baby with Bruce Willis’ voice as his inner monologue comments on the social practices of his single mom (Kirstie Alley) and the latest man in her life (John Travolta). But like all of those comedies that lean on a talking fill-in-the-blank (a dog, a cat, a baby) to deliver all of its jokes, Look Who’s Talking wears out its welcome when it needs to move a story along. Alley and Travolta have no chemistry to speak of, and Willis’ punchlines – penned by director Amy Heckerling – are amateur hour efforts that needed a punch up. Remarkably, Look produced two sequels! They weren’t nearly as good as this first movie… and this first movie’s pretty damn bad. The one that started it all… except, in hindsight, it’s not that good. 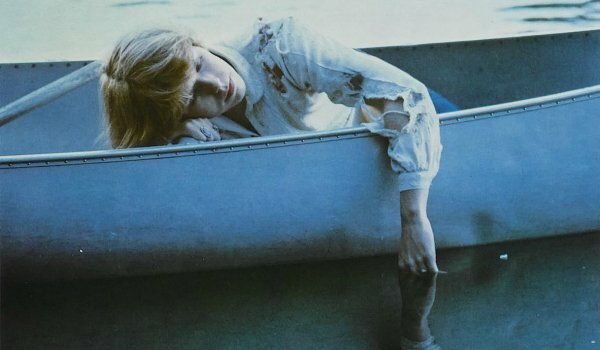 We probably don’t need a spoiler alert for a 35 year old movie, but the original Friday the 13th didn’t involve the hockey-masked camp-counselor killer Jason Voorhees. Rather, the series started off with his angry mother (Betsy Palmer) lashing out at the lazy teenagers she blames for her son’s death. This is a matter of preference, but I thought the Friday series started finding its groove once Jason picked up his machete -- to name one weapon – and started administering horror-movie vengeance on not-so-innocent victims. And I thought the franchise got better as it got bloodier, grislier and, yes, ridiculous (in a fun way). The 1980 Friday launched a legendary series, but most sequels improved on this initial seed. Studios, in the 1980s, were desperate for the next Animal House. They all wanted to replicate the Slobs vs. Snobs formula, to pit outcasts against the establishment somehow. And the idea of setting it in a police academy is inspired. But the colorful characters assembled for Police Academy far outshine the sophomoric jokes propping up the screenplay – credited to five writers. George Gaynes warms your heart as the clueless Commadant Lassard. Michael Winslow milked his gimmick as the walking sound-effects machine. 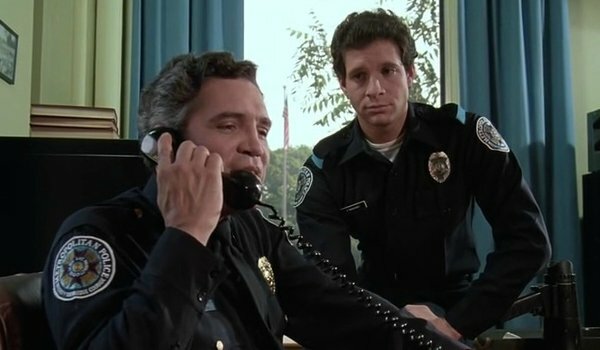 And Steve Guttenberg is legitimately great in Police Academy. But Police Academy, as a movie, is not that good… and the formula thinned out considerably from sequel to sequel. Cocktail ran on one of the cable stations recently, and I started watching it from the get-go. But it quickly became clear that Roger Donaldson’s comedy? (drama? romance?) 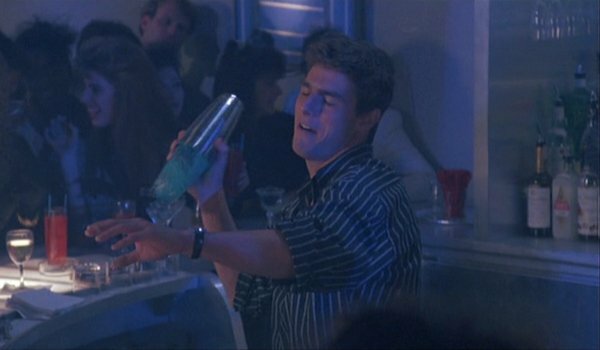 had very little going for it beyond Tom Cruise’s mega-watt smile and that cool visual trick of the spinning bottles. And in all honesty, other movies have come to the screen powered by less. But here’s what holds Cocktail back – and it’s a problem many alcohol-themed movies run into. There are endless scenes in Cocktail of people having a good time. In neon-drenched bars. In Jamaica, where Cruise romances Elisabeth Shue. But we’re not having fun. Can someone spin a bottle again, because Bryan Brown’s subplot about his professional conflicts with Cruise put me to sleep. Our family still doesn’t use wire hangars or clean the bathrooms with Comet because of this damn movie. There’s "camp," and then there’s Mommie Dearest, the based-on-horrible-but-true accounts of Christina Crawford’s abused childhood under the demanding eye of Joan Crawford (played without an ounce of restraint by Faye Dunaway). 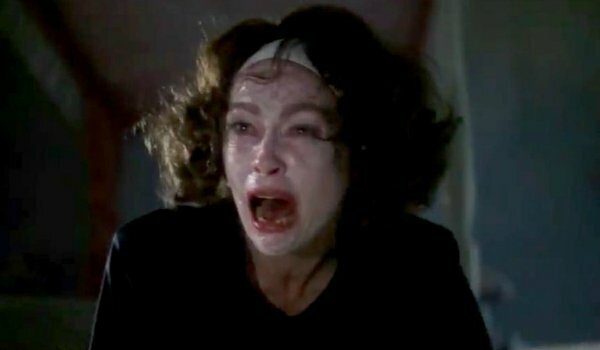 An unintentional comedy, Mommie Dearest has become a how-to manual for awful parents – my favorite scene is Joan beating Christina in a swimming race, then explaining how the daughter will never beat her mother because she’s not strong enough. But aside from a few ludicrously overblown scenes, the hazy biopic struggles to hold our interest, painting with far-too-broad strokes as it creates a Hollywood monster out of a supposed icon. 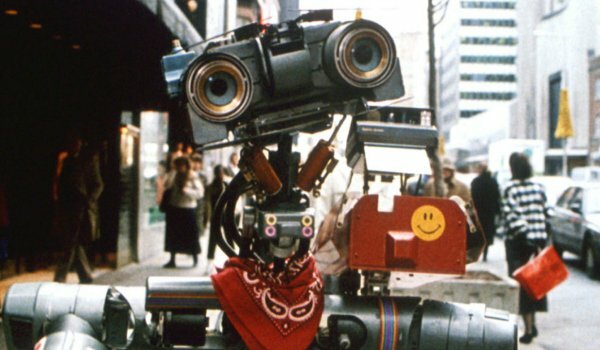 Short Circuit is sort of like Chappie… only, 30 years later, audiences knew better and just skipped the movie about the emotional robot altogether. Steve Guttenberg and Ally Sheedy (both of whom seemed to appear in just about everything for a stretch of years) find an experimental military robot constructed for use during the Cold War who comes to "life" after being struck by lightning. Mixing E.T. with Pinocchio (and several other easy sources), Short Circuit charmed audiences at the time. But the film’s clunky comedy and Cold War "tensions" – which director John Badham also explored in WarGames -- make it a time-capsule relic that’s dated and dull. Like so many movies on this list, Short Circuit benefitted from having a hit song, "Who’s Johnny," that likely helped sell more tickets than was necessary. Steven Spielberg gets a lot of credit – and deservedly so – for putting out two movies in the same year. Few can wrap their brain around being able to deliver Amistad and The Lost World: Jurassic Park in the same year, let alone Minority Report and Catch Me If You Can. So I’ll applaud the producers behind the Breakin’ films for cranking out back-to-back breakdancing movies… even if both of them are unspeakably bad. 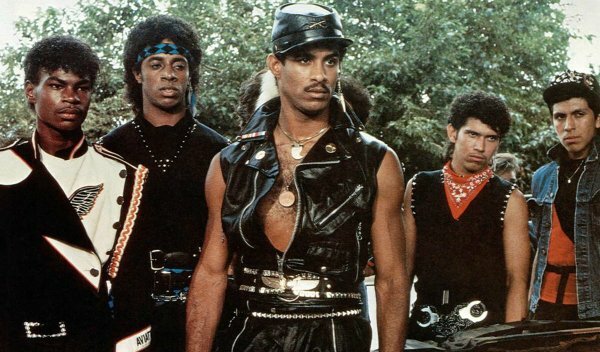 Both Breakin’ and Breakin’ 2: Electric Boogaloo captured a movement relevant to this time. They are to the 1980s what the Step Up movies are to the 2000s. And Electric Boogaloo has become the default joke for ANY movie that gets an unwarranted sequel. But the acting, direction and screenwriting in both films is atrocious, and the movies are so awful that you can’t even entertain yourself by making fun of them. Moonwalk into another decade, and hope for better results. If you could veto one movie from this list, which one would you defend?